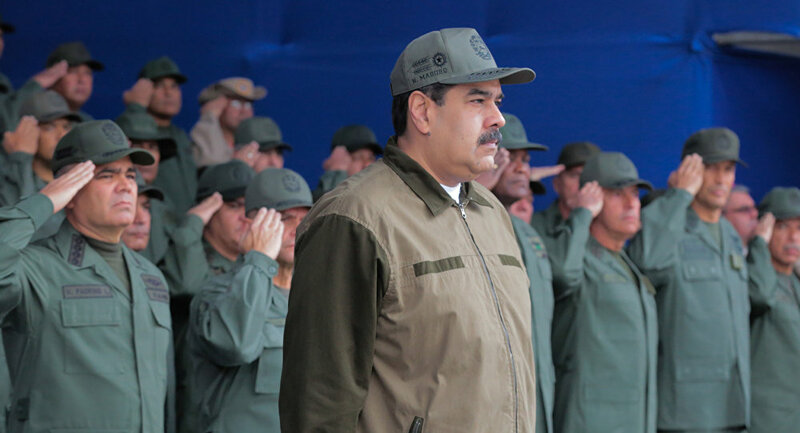 Earlier this week, Venezuelan President Nicolas Maduro was sworn in for the second presidential term for the period from 2019 until 2025. "The Maduro regime is illegitimate and the United States will continue… to work diligently to restore a real democracy to that country," Secretary of State Mike Pompeo said in the statement, released in Abu Dhabi. "We are very hopeful that we can be force for good to allow the region to come together to deliver that." According to the senior official, the US will continue to use the full weight of US economic and diplomatic power to press for the "restoration of democracy in Venezuela." Maduro has faced criticism from a number of states after his re-election in May, with some countries claiming that the vote was illegitimate, something vehemently denied by Caracas. Earlier in January, the Peruvian Foreign Ministry said following the meeting of the Lima Group foreign ministers that the union did not recognize the legitimacy of Maduro's new presidential term that will begin on January 10 and urged him to call a new presidential election. The Venezuelan Foreign Ministry then delivered protest notes to the diplomatic representatives of the Lima group countries.